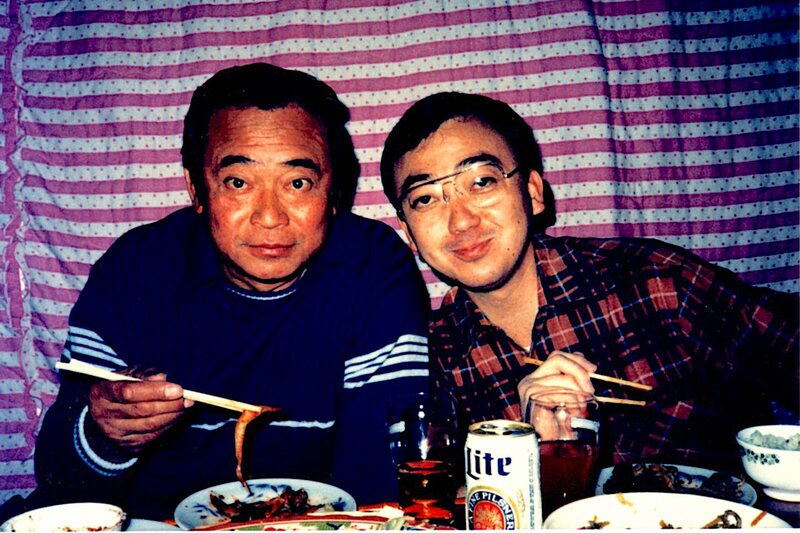 This photograph shows Buenaventura “Benny” Pabingwit and Gary Hirata in a off duty dinner at a local restaurant in Songtan, the Korean area outside Osan AB. Benny was a fulltime technician serving with the 291st Combat Communications Squadron in Hilo. He served for many years before his retirement.. He passed away in 2007. His sons, Morris and Clayton, both served in the Hawaii Air National Guard. Gary was a Traditional Guardmember who served with the Hq, 201st Combat Communications Group at the-Hickam AFB. He served with for many years before completing his career with the Air Force Reserve. The 201st Combat Communications Group deployed annually to the Team Spirit exercises in Korea. The 201 CCG augmented and expanded the communications capabilities of the then-2146st Communications Squadron (now the 51st Communications Squadron) at Osan Air Base.. The 201 CCG established communications to base bases and remote locations throughout Korea.